Editor's Note: As part of a series of ending the stigma of mental illness, we have conducted interviews with the Close Family to help educate ourselves and our readers about the importance of understanding what mental illness is. We are also starting a dialogue so other families can openly share about what seems to be a difficult topic to discuss. 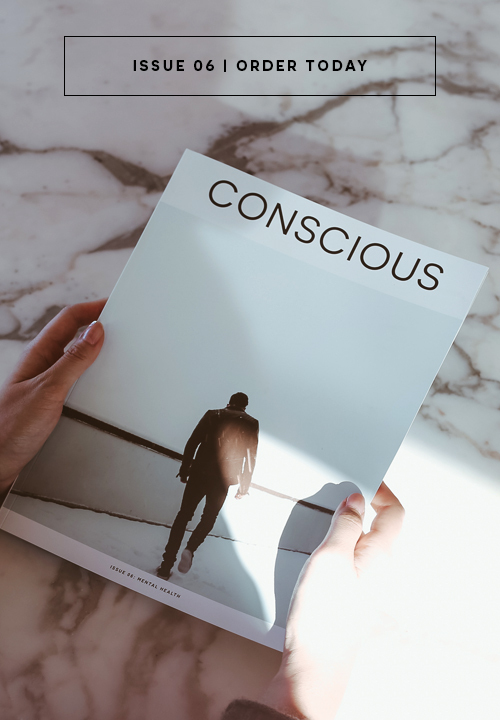 At Conscious Magazine, we are taking a moment to talk about manic depression. 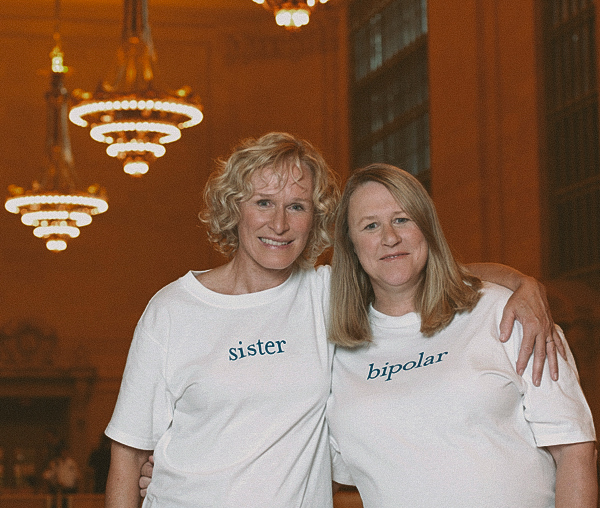 With the help of Jessie Close of Bring Change 2 Mind and sister to actress, Glenn Close, she opens up to Conscious about her struggle with manic depression and uphill climb to healing, in hopes, to help someone else going through the same thing. Q | Talk to me about the dark times in your life. Did you feel like anyone could understand what you were going through? First, I am a recovering alcoholic - clean for 12 years now. Without getting clean, I may never have had the right diagnosis. I was 4 years sober when I went to the hospital and got the correct diagnosis. If I had not been sober, then that would not have been able to happen. Dark times came in the form of a call for help, such as a suicide attempt. I tried to kill myself when I was 16 because I had no other way of reaching out. I tried again when I was 19, and at that time, I really did want to die. I flirted with suicide several times. At 38, I had my 3rd child, and I wasn’t doing too well. I got terribly depressed a lot. My sons were older (Calen will be 32 and Sander is 30), and I owned a coffee house in Bozeman, Montana. I had 2 little boys, a business, and a baby, and felt out of my mind. I reached out, and Glenn flew from NY to Salt Lake City to get me an appointment with a neurologist. I fought migraines for years and I was put on medication then, but I kept drinking and after awhile, the medication turned on me. I had to stop that and then get on something else, all the while taking care of my kids. My daughter got the brunt of it. Just to give you a visual, even getting to the grocery store was torture. Q | What was life like when living with your depression? I just tried to function - when I was depressed all I wanted to do was die. I have a picture of myself in my mid 40’s, and my eyes were so haunted that it gives me chills today. You are so caught up in how you feel and then things start falling apart. It was difficult for me to even leave the house. My daughter would come home from school to eat, and I would have to drag myself out of the house to get food. I would get panic attacks when I would go through the grocery store. We thought all of this was related to my migraines, which didn’t get better until I was on the right medication from being diagnosed properly in 2004. I’ll be 60 in July, and I didn’t know what was wrong with me although the original doctors said that I was bipolar with psychotic features and tended to a mixed state. Basically, I was depressed and manic at the same time. This is where most people commit suicide. You have the energy of the mania to actually go through with suicide; that was scary. When I finally settled down in Wyoming at my Mom’s house with my daughter and Glenn, I was just about to leave when I told her I could not stop thinking about suicide. I could be talking and functioning, but all I could think about was dying and how necessary that was and how much better off my children would be. She (Glenn) put her arms around me, rocked me, steered me back into the house, and sat down to talk to my mom. That is what got me to McClean Hospital. Q | Can you tell us about what recovery has been like? After the hospital put me on the right medication, I started seeing my therapist in Bozeman. I made a deal with my therapist to turn out the bedroom light at 1AM. With the mania, I would stay up at night and write or draw. I love the peace and quiet of night time because my brain was so bruised with moods that I loved the peace and quiet at night. So, I would turn out my light at 1AM and turn it right back on (so I wouldn't lie to him). It’s taking me years of taking my meds early enough so that I can go to bed at a reasonable time. I have a strict routine and love that I can write all day and not at night. Last Spring I started to get manic. I know the symptoms, and I don't mess around. I have a friend who is also bipolar and she always asks me right the questions. She would ask, “Have you made any decisions lately that you haven’t thought through?” I said, well, I was going to get a horse. She responded "you have to buy hay for winter. It’s expensive." These questions helped to wake me up and pause to think about my wellness and think, maybe I am tipping over the edge here. I called my doctor right away, and he had me take one of my mood stabilizers that brought me right down. Q | How do you manage to have the courage to talk about your life in this way? What else you can say? It’s scary to talk about what’s going on in your head. Sometimes, we don’t believe it is true, or that it couldn’t possibly be, and somehow you push through that feeling. It is the stigma that people will judge you, think you are less, and that you will be brand yourself as this kind of freak. We need to understand that so many people are dealing with this and talking about it is so important. When my daughter was little, I was afraid her friends’ parents would find out and wouldn't let their children come over and play. That is sheer prejudice. We should support other people, talk to them and let them tell you what's going on without prejudice. Q | What should we not say when others struggling with mental illness? My neighbor has used the terms like ‘nuts’ and ‘crazy’ - I don't like the whole concept that certain words are bad, but if you find yourself using words like that, then try referring to behaviors with words that are more educated.